Violist Chiu-Chen Liu enjoys a diverse career in orchestra, chamber music and pedagogy. Recent performances include engagements with Cremona International Music Academy, Alion Baltic International Music Festival, Festival Suoni D’abruzzo in Italy, BAMcafé Live, American Symphony Orchestra, Orchestra of St. Luke’s, American Chamber Music Ensemble, New York Classical Quartet, Attacca Quartet and Lecture-Performance Series at Columbia University. Chiu-Chen has served as principal viola with the Greater Bridgeport Symphony, the Sarasota Opera, Di Capo Opera, Fairfield County Chorale Orchestra. Her chamber music performances have been broadcast on NPR and WQXR radio. 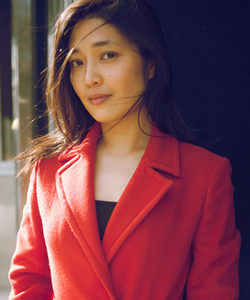 Currently residing in New York City, Chiu-Chen relocated from her native Taiwan at age seventeen to study at the Manhattan School of Music. She later earned her Bachelor of Music, Master of Music and Professional Studies Diploma from Mannes College The New School for Music, receiving full scholarship as a student of Hsin-Yun Huang, Mark Steinberg and Laurie Smukler. A dedicated teacher, Chiu-Chen was appointed the String Department Chairperson from 2013 to 2016 at the Third Street Music School where she is currently serving as a full time violin, viola and chamber music faculty. In addition to Music, Chiu-Chen is also an active visual artist. She is currently serving as the Visual Artist-In-Resident for the Olympic Music Festival in Washington State, VivaViola Festival in Taiwan and the Sejong International Music Festival at the Curtis Institute from 2013-2014.